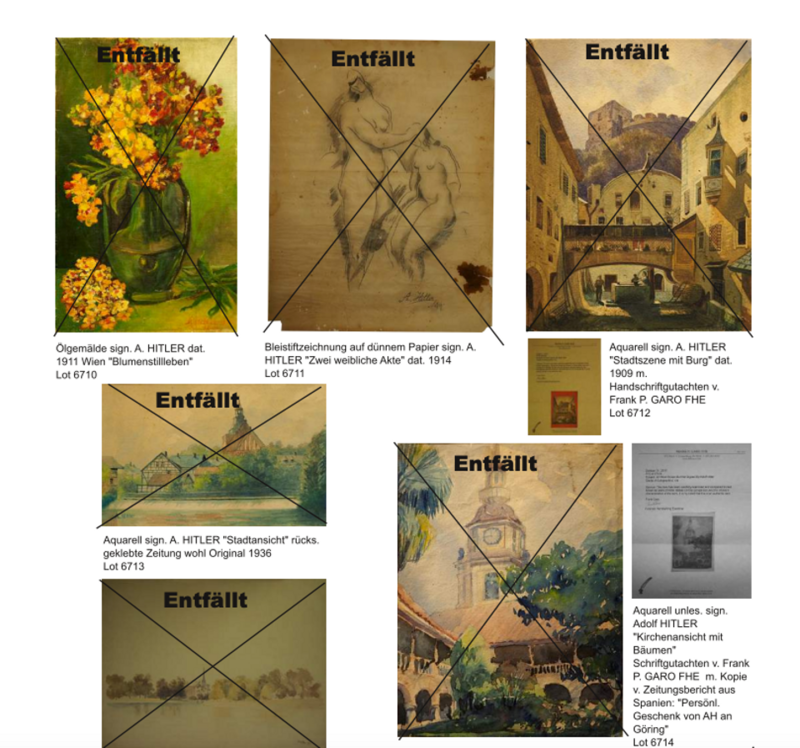 The Nuremberg prosecutor yesterday seized 63 paintings, watercolours and drawings attributed to Adolf Hitler from the family-owned Auktionshaus Weidler on suspicion that they are forgeries, the prosecutor’s press officer says. Auktionshaus Weidler planned to sell 26 of the seized works at a sale in Nuremberg tomorrow, says a spokeswoman for the Nuremberg-Fürth prosecutor’s office. These include a pastel portrait of a young woman and some watercolour mountain landscapes. A further five works attributed to Hitler were not seized and are believed to be genuine, she says. These are still earmarked for tomorrow’s auction, which also includes a vase, a table-cloth and a wicker chair that allegedly belonged to Hitler. Selling such items is not illegal in Germany unless they include Nazi symbols. The prosecutor is investigating to identify possible individuals who knowingly introduced forged works into the market. The works were brought to the auction house by more than one consignor, the spokeswoman says. She adds that Bavarian law enforcers are cooperating with their counterparts in Berlin, where just last month, police seized three watercolours signed A. Hitler on offer at Auktionshaus Kloss on suspicion they were forgeries. Neither auction house is the subject of the investigations. 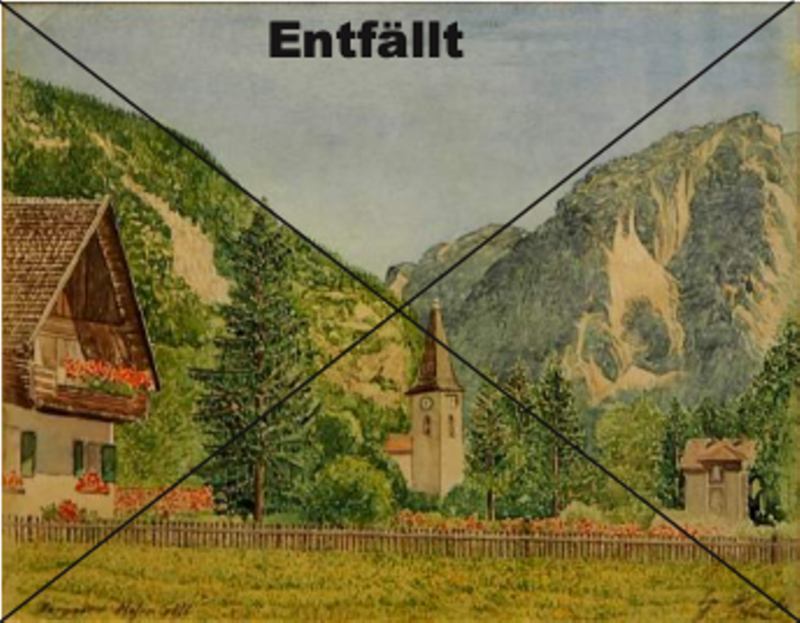 A statement from Auktionshaus Kloss said the company had obtained a certificate of authenticity for the watercolours, which it maintains Hitler painted in 1910 and 1911. Auktionshaus Weidler has previously sold art attributed to Hitler. Contacted before yesterday’s seizure, the auctioneer Kerstin Weidler said the works on offer in tomorrow’s sale came from private consignors from various countries, including Austria. “We examine the pictures under ultraviolet light, and sometimes we already have an expert report, which allows a picture to be included in the auction,” she said.